The Manhattan Beach downtown is close to perfect. Upbeat modern restaurants, cafes, and businesses are only of fantastic part of what makes Manhattan Beach downtown so special. Within an hour of downtown LA you get white sand, blue ocean waves, perfect cooling ocean breezes… and very very little parking. As close to perfect as Manhattan Beach downtown might be, we have suffered severe parking shortages in the South Bay and Manhattan Beach is definitely among the worst examples. Spending twenty minutes driving in circles for a spot is not how anyone to start an afternoon at the beachside. 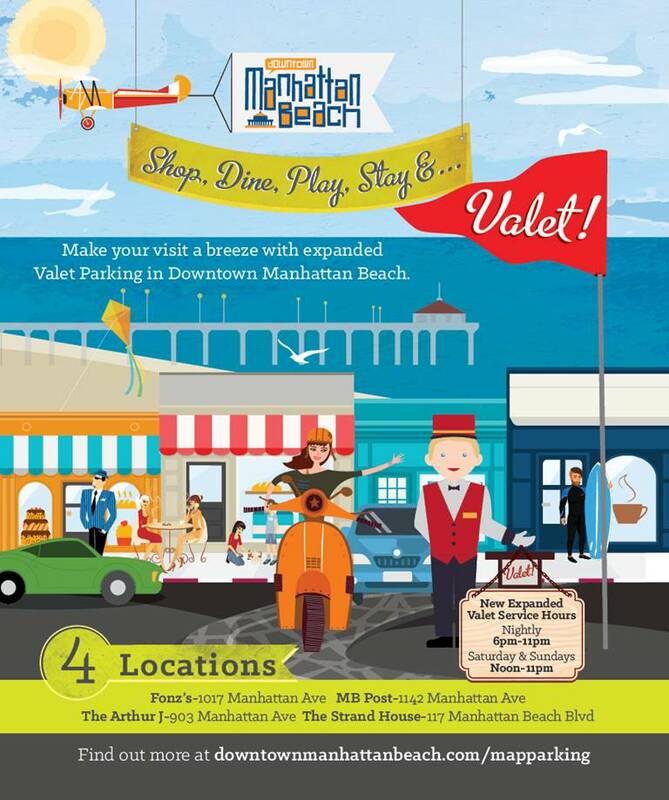 Well the city of Manhattan Beach realizes this and is making changes to solve the parking problems downtown by expanding the valet service to create approximately 110 more parking spaces in downtown Manhattan Beach! The City seems to have checked the “all of the above” box for improvements to the downtown valet service. Starting this Saturday (August 1st) there will be four valet locations, expanded hours through the weekdays, and valet hours on Saturdays and Sundays. These minor upgrades to the valet system are the perfect out-of-the-box solution to downtown parking shortages and show that the City is committed to only improving the downtown experience.